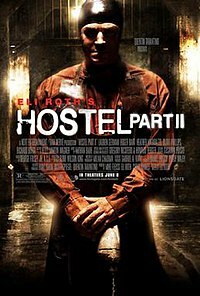 I am a horror fan as well.. but the recent trend of gory slashers (Hostel,The Hills have eyes 2, etc), not really my thing. Most of the time, they show the stupidity of mankind (The victims). not a horror fan , if i see horror movies i get nighmares which are more horrific than the movie so i avoid watching them…..
After the success of the American remake of “The Grudge”, The ‘Horror’ trend was revived, Now, we every other week, a horror movie is released and as a result, the stories started to become predictable and unfortunately stupid, I must agree with you. This part (Part 2) had the usual formula but it contains an underlying message that led to a vey long disscussion about the movie afterwards. Give it a try if you came across the DVD. It is, indeed.. You will not be disappointed.